The Delaware Dance Festival (DDF) is dedicated to promoting the art of dance in Delaware and the surrounding area, by providing performance opportunities for dancers and scholarships for dance students. 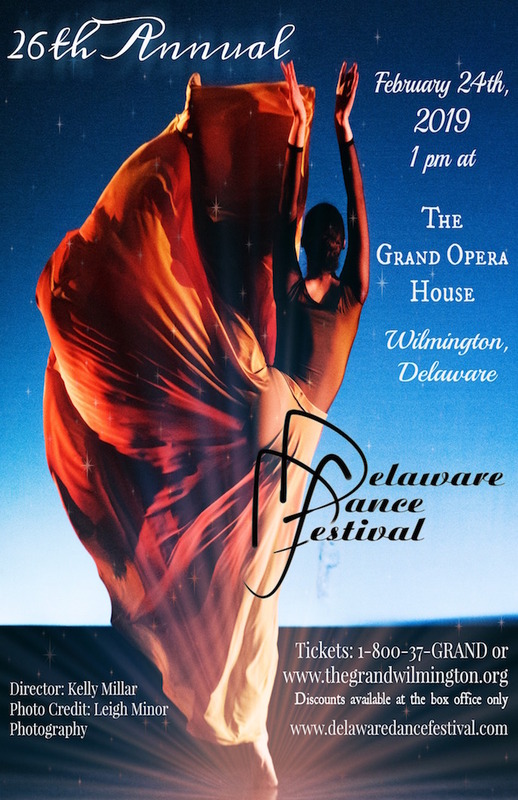 An annual, three-day event, the DDF typically takes place in late February or early March at the Grand Opera House in Wilmington, Del., and includes dress rehearsals, master classes, scholarship auditions, and a performance. Studios and companies from Delaware, New Jersey, Pennsylvania, and Maryland participate in the yearly tradition, where scholarships are awarded to dancers based on evaluations during an audition process, as well as stage performances. With each passing year, the organization has been able to award more and more scholarships to talented and deserving dancers. 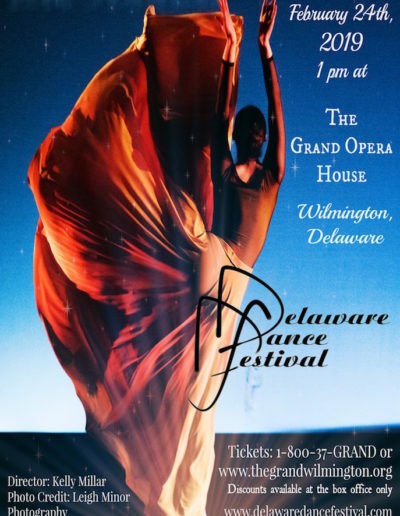 From 2007 to 2011, the Delaware Dance Festival was held at a ballroom in the Dover Downs Hotel, but in 2012, was moved to the Grand Opera House in Wilmington, Del. The performance first took place in the baby grand theater, and in 2013 was moved to the Main Stage at Copeland Hall. Over the past decade, the DDF has grown from one-day to a three-day event. Kelly Millar, a lifelong dancer and choreographer, serves as Director for the Delaware Dance Festival, after taking the reins from former director, Sara Taylor Neal, in the fall of 2006. Starting with no more than $800 in the budget, “Miss Kelly” coordinated the 2007 DDF at Dover Downs with just 10 companies and studios, and zero scholarships awarded. After years of increasing attendance and awareness, Miss Kelly and her valued support staff felt it was time to move to a larger and more centrally located theater. Since relocating to the Grand Opera House and adjoining baby grand theater in Wilmington in 2012, the DDF has experienced great success, having grown to include more than $5,000 worth of summer program scholarships, over $3,000 in cash scholarships, and 30 different works of choreography. Naturally, an undertaking of this magnitude requires great effort on the part of Kelly Millar, who volunteers her time to make all of the proper preparations for this event. Her responsibilities leading up to each DDF include programming, scheduling, advertising, and staffing. Her husband, Jason, donates his expertise as the designer for the DDF, and a small group of dedicated volunteers—know as the Dance Delaware Board of Directors—help put together this inspiring experience for hundreds of dancers from across the Delaware Valley. 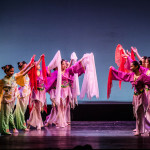 Dance professionals who form the scholarship committee also volunteer their time, as do friends, family and others who understand the value of the arts, and dance in particular. Without these individuals, the Delaware Dance Festival would not be what it is today.